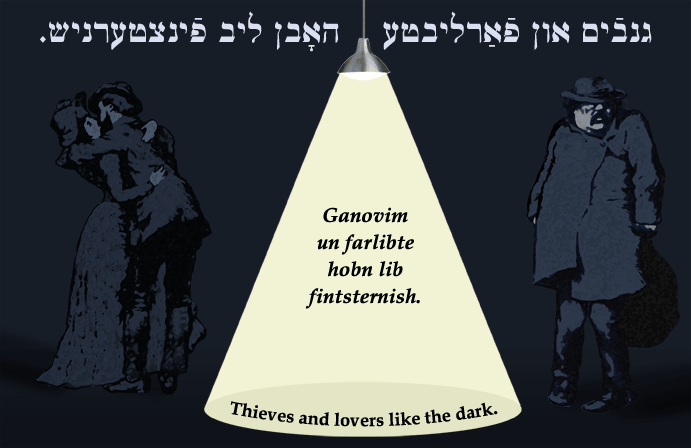 Yiddish Wit: Thieves and lovers like the dark. גנבֿים און פֿאַרליבטע האָבן ליב פֿינצטערניש. Ganovim un farlibte hobn lib fintsternish. Thieves and lovers like the dark.